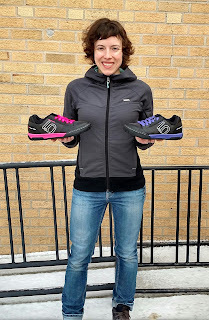 Travis and I first saw the Five Ten Women's Freerider Contact shoes when we went to SaddleDrive in 2015 and I was stoked! 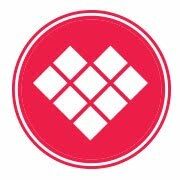 I was an avid Freerider Canvas wearer, but I was curious about the bottom of the Contact and wondered if it might be more beneficial for control and support. 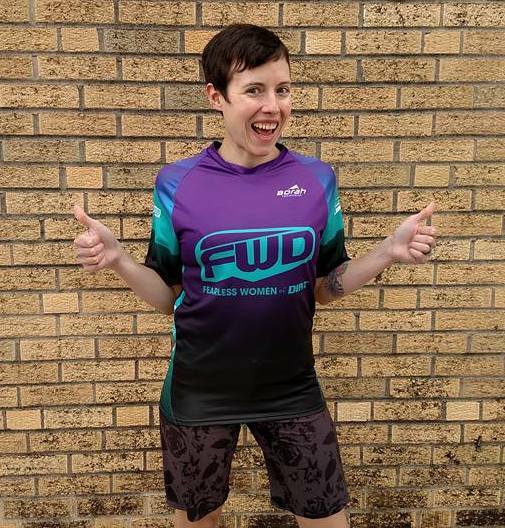 Since acquiring the shoes, I have now found my favorite style for riding flats. Like the Freerider Canvas shoes I wrote a review about previously, they have a super grippy rubber that really sticks to pedal pins like you wouldn't believe. The Contact version of the shoe I feel is even better than the originals I had worn and swore by. I love how stiff yet flexible the Freerider Contact shoes are! After I broke them in, I was able to comfortably wear them during the workday so I could have confidence and stability with shredding trails after work! 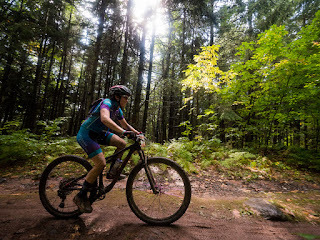 The Freerider Contacts are made with a treadless Contact Outsole™ under the ball of your foot, which allows you to make quick adjustments to your foot placement. When I compare the Contacts to my Freerider Canvas shoes, I found the Canvas shoes were much more flexible and my feet would fatigue easily. The Contacts have firm support which gave me less foot flex and I found that more effective and comfortable for longer rides. For folks who want to feel their pedals under their shoes you probably won't gravitate towards the Contacts because of their lack of flex. At first I did have an issue with the Freerider Contacts being a little too stiff when wearing them for everyday wear. I have sensitive spots below both balls of my feet, and my foot would want to over-flex as I walked which caused mild discomfort. Once I remembered that the shoes were not as flexible and of course, once they broke in a bit, the issue resolved. Just be aware, if you have sensitive spots on your feet, this may be something you notice for the first few wears. 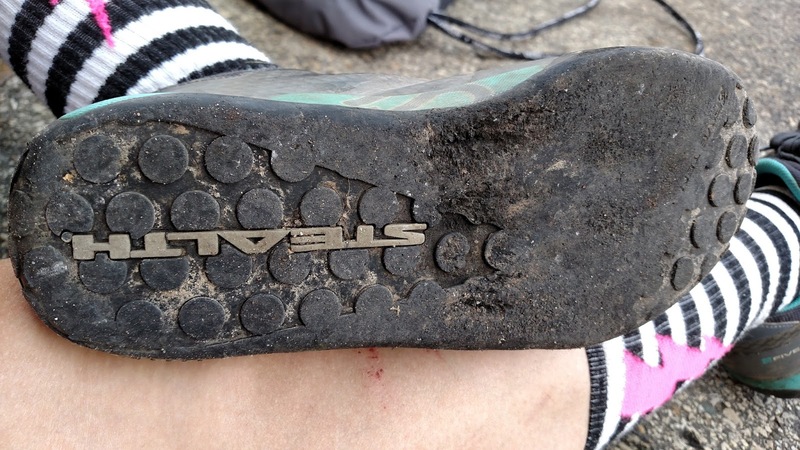 The Freerider Contact shoe also has a more water-resistant material on the outside of the shoe. They are also durable against impact and abrasion; you wouldn't think with the materials of the shoe- it is the lightest Freerider in the line! I would say there is water resistance to the shoe, but if you're out in a downpour and riding in extremely wet conditions- do not expect your feet to stay dry. 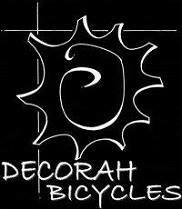 I found this out during the 2016 Decorah Time Trials. We had an exceptionally wet and muddy race and my shoes were soaked. Showing wear, but still going strong! With having a season+ of wear on these shoes, I'm pleased with how well they are holding up considering they became my go-to for mountain biking. My Freerider Canvas shoes have become an "everyday work/commuter" shoe and you can see extensive wear on the bottom. They aren't truly made for daily, consistent wear- but for the abuse I've put them thru they have done well. 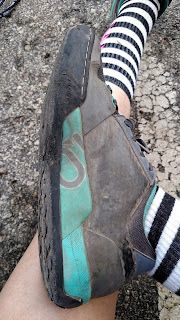 You can see from the photos of what a season+ of continual off-road riding on super grippy flat pedals can do to the shoes. There is wear for certain, but they are still completely usable as a shoe. I will say that the rubber sole area right under the blue logo is coming away on both shoes, which could be more of an issue if I went puddle jumping in these shoes. There are no holes to speak of, other than sole coming away from the bottom, which might be fixable with some sort of shoe glue. The pins from my HT pedals have definitely chewed up the smooth rubber sections, but not to a degree where I can't continue to wear the shoes. I also have a habit of having my feet too close to the crank arms sometimes, which has caused some wear on the inside portion of the shoes by my big toe. Oh well! It just affects how nice my shoe looks, not the functionality. In other words, no big deal. The only other thing I wish for is a way to keep my laces tucked nicely, without having to shove them in a haphazard manner. It's not a huge deal, but sometimes they come untucked and I might stop mid-ride to shove them back under the cross-laces so they don't flop around. An elastic lace keeper would be perfect for these and the Freerider EPS High shoes I wear during the late fall/winter months. The laces are plentiful! 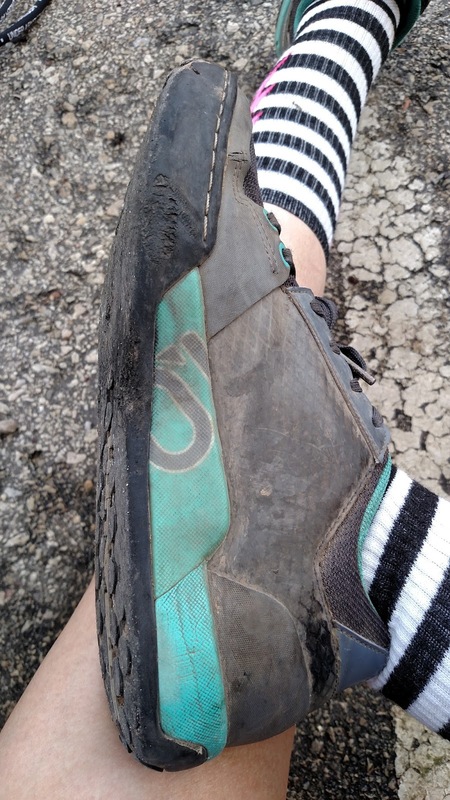 I would highly recommend the Freerider Contact shoes for their stiffness and support (after being broken in.) 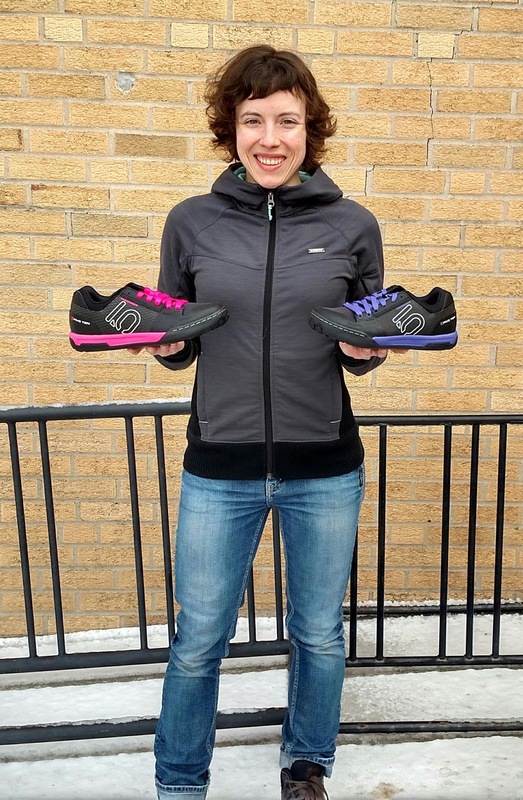 I also like that they are a bit more protective than straight-up canvas shoes, in case one finds themselves in particularly rocky/technical sections where more supportive coverage (like near your toes, for example) is beneficial. 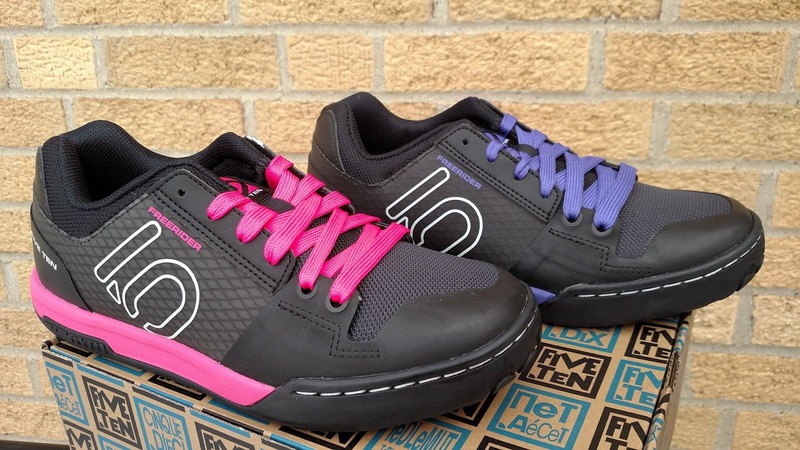 If you're looking for shoe to wear with flats that are supportive, will stick to your pedals, and are comfortable on and off the bike- Five Ten Freerider Contacts are the way to go!